Do you want to avail of a very irresistible offer only from Temptations? 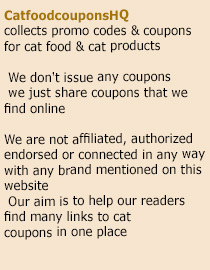 Then sign up at their website and you’ll get the $0.50 off on a bag of delicious and tasty bag of treats. Now, it is fairly easy to enjoy Temptations at a discounted price. Simply fill out the form found at Temptation’s official website, submit it, and the discount coupon is yours. No cat can resist the tasty flavor of Temptations treats. And more than just providing your cats with a great-tasting snack, these treats also help control tartar and keep them healthy at the same time. Each treat less than 2 calories – it won’t make your pet obese like other treats would. The sign-up form only requires cat owners to fill out a few fields. Simply type in your name, email, and address, then you’re all set. Other information such as the number of pets you own and where you usually buy food for your pets are also required. There’s also an option about receiving email and offers from the company. After submitting, your discount coupon is ready for printing. This entry was posted in Whiskas. Bookmark the permalink.